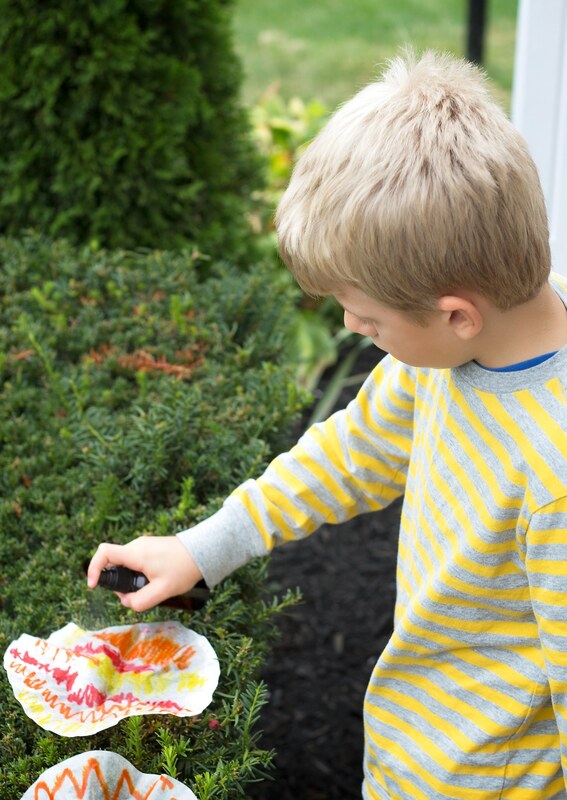 By Melissa Lennig on October 5, 2015 2 Comments. This content contains affiliate links. As an Amazon Associate I earn from qualifying purchases. 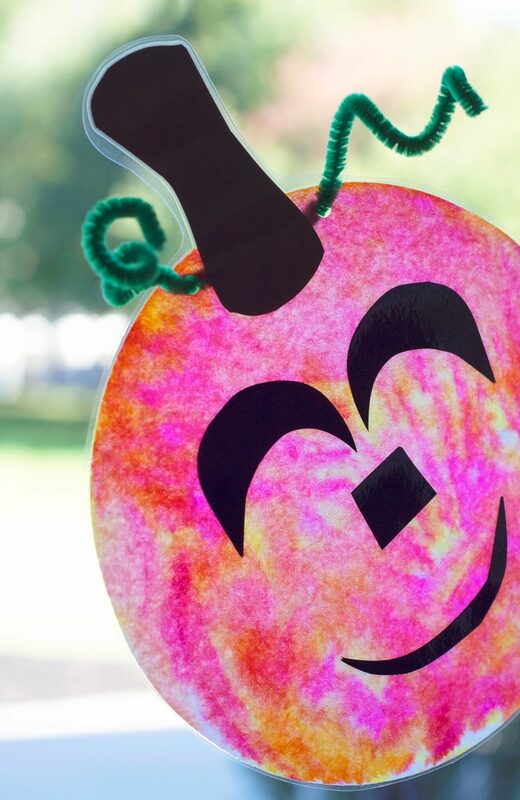 Inside: Just in time for Halloween, learn how to make adorable and simple jack o’lantern suncatchers with markers, coffee filters, and water. 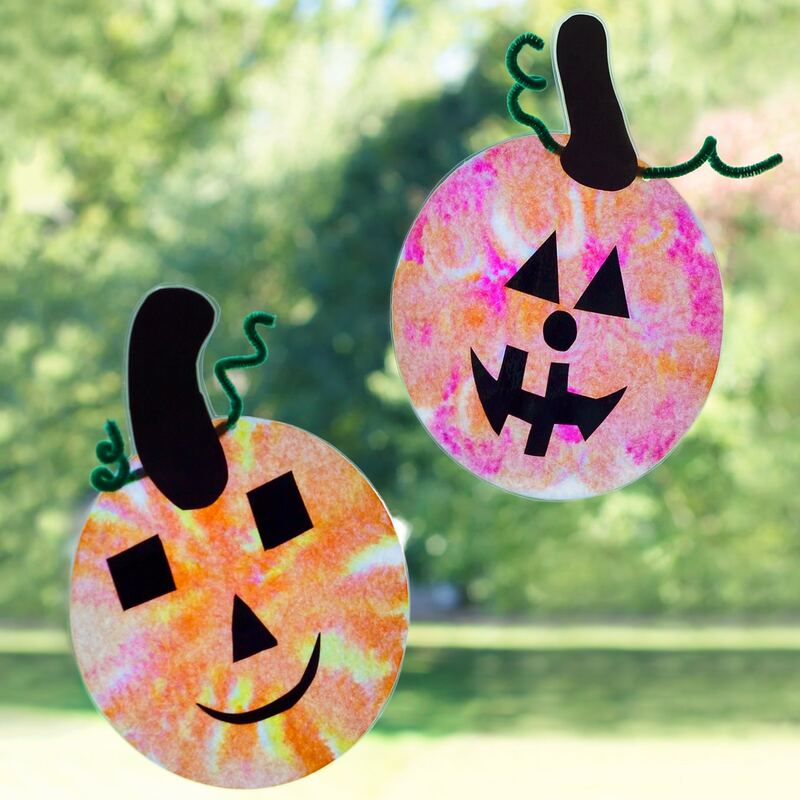 If you are looking for an easy and fun Halloween craft for kids, you will love these simple Jack O’Lantern Suncatchers. 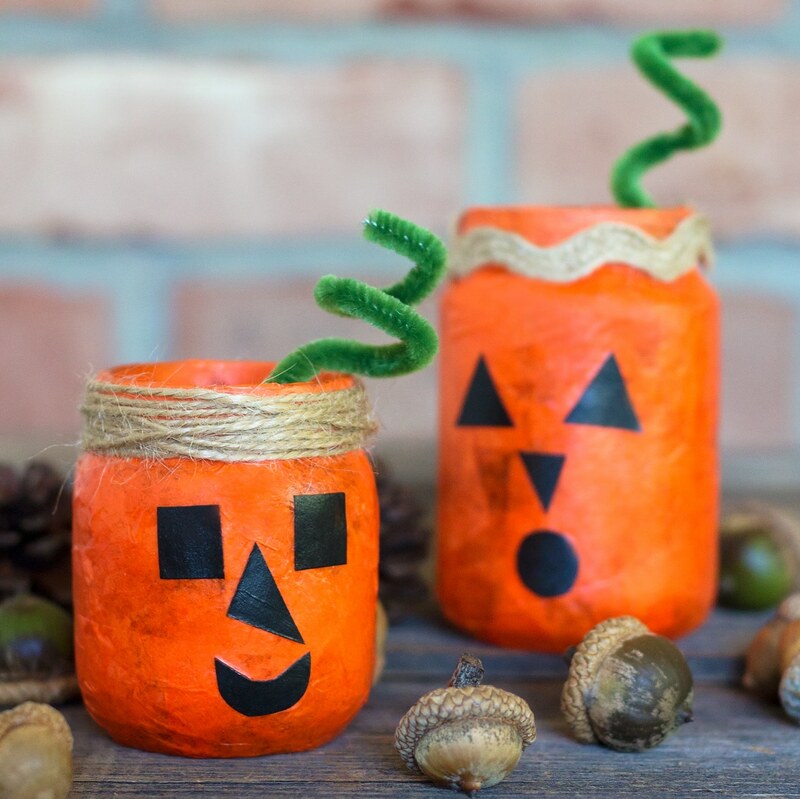 Created with coffee filters, markers, and water, they are easy and inexpensive—perfect for home or school! 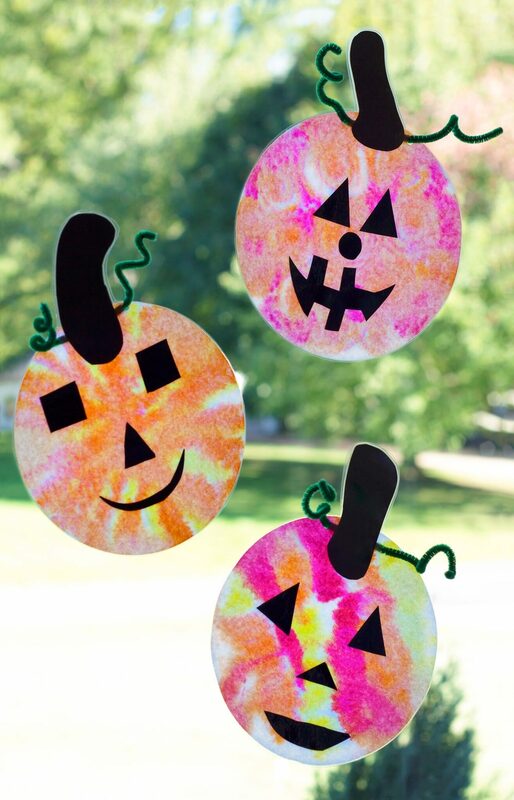 This past weekend my children and I created adorable Jack O’Lantern Suncatchers. I have no word other than “happy” to describe them! Their vibrant colors, twisty vines, and kind smiles add a perfect seasonal touch to our windows. 1. Invite your child to color designs on the coffee filter with the markers. We used yellow, red, and orange markers. 2. Take the coffee filter outside to the grass or a hedge, then saturate the coffee filter with water. Allow the coffee filter to dry completely. 3. Cut shapes out of the black construction paper for the jack o’lantern’s face. 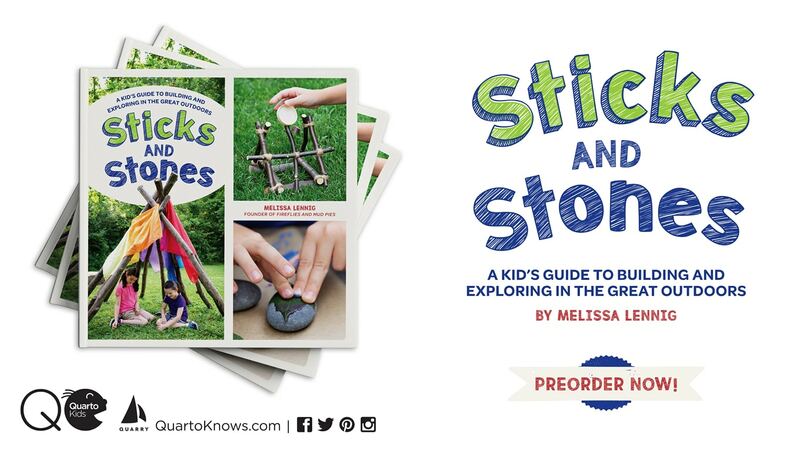 Attach them lightly with the glue stick. 4. Cut a stem for the pumpkin out of the brown construction paper. Attach it lightly with the glue stick. 5. When the glue is dry, laminate the pumpkins. This step is optional, but doing so seems to brighten the colors and help the coffee filters hang straight on the window. Of course, laminating also makes this decoration reusable. 6. Use the hole punch to make 2 holes around the stem. 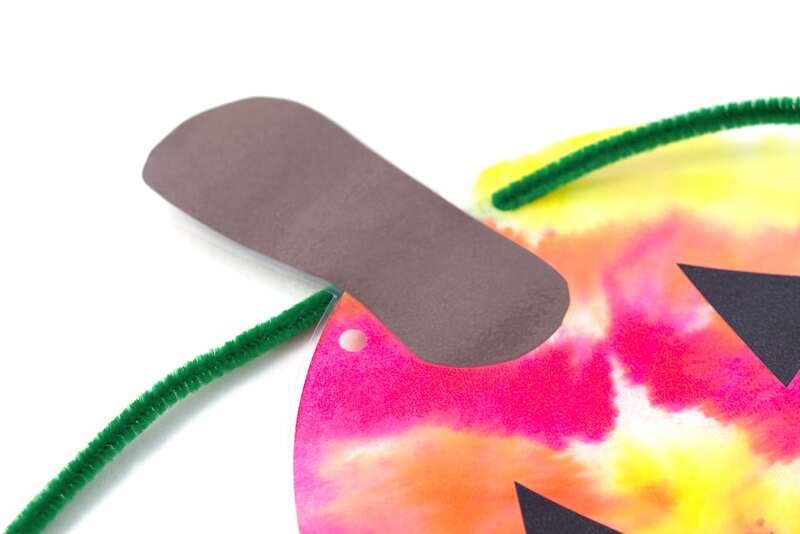 Insert the pipe cleaner through the holes, then twist it around your fingers. 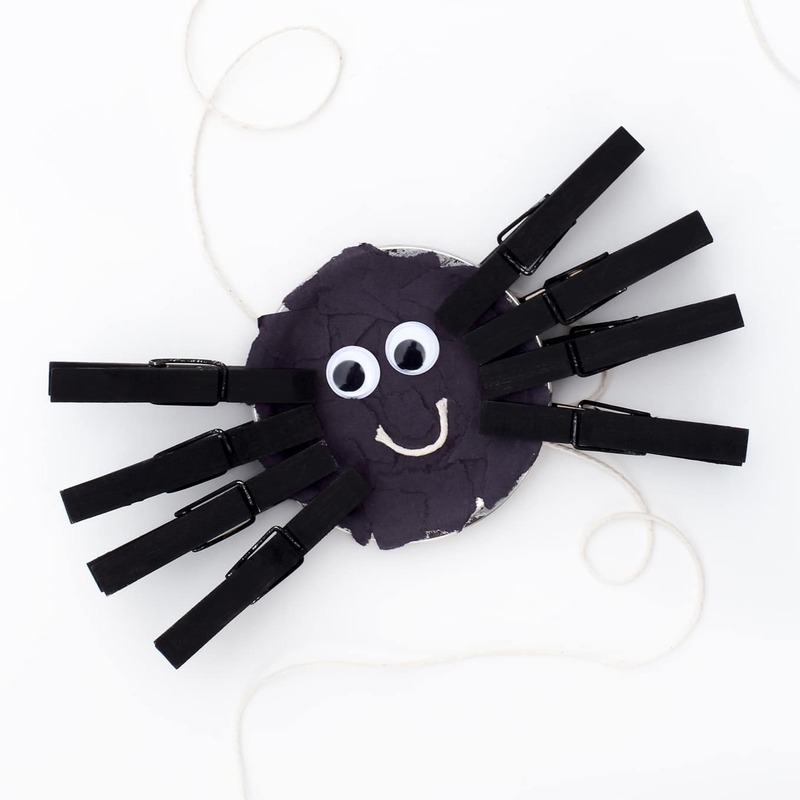 Click the images below to view more simple Halloween crafts for kids.